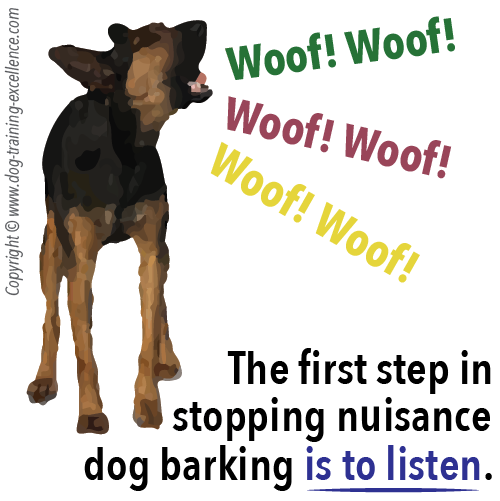 How do you stop dog barking? The first step is to figure out why your puppy is barking so much. Is he scared? Bored? Excited? Frustrated? There are many reasons why your dog is barking and each one has a slightly different solution. Pay attention to your hound and you will figure out why he is being loud, you will also start understanding him much better. I have noticed over and over with my students (humans) that when they understand canine behavior, they relax and feel much better. This, in turn, relaxes the dogs too because they notice their owner is calmer. Understanding your dog will make you a better dog owner and will also help you pick the right methods to teach something to your pet. Most dog behavior problems happen because of lack of communication or understanding between canine and human. My goal is to help you improve these things. Get ready to learn how to stop your dog from barking without the use of dog bark collars. When is it OK for dogs to bark? Before you can stop dog barking, it is important to understand that dogs use sounds as well as body language to communicate with other dogs and with you! That means a reasonable amount of it should be tolerated. The first type of communication dogs use (specially on a face-to-face type interaction) is body language. Learn about it because it will help you understand how your dog is feeling before he has to resort to speaking louder to you (a.k.a. barking!). Natural dog sounds include barking, whining, howling and growling. Different barking noises have actual meanings: threat barking, territorial barking, greeting barks, alarm barks and "do you want to play"-barks. You might be feeling frustrated and stressed thinking your hound or your neighbor's dog is doing it on purpose, because he is "dominant" or to show aggression. No, your furry friend barks because he is trying to communicate something. The sooner you hear the message, the sooner he will stop being loud. this often makes matters worse. That said I strongly recommend against using bark collars. You might think they are the easy solution, but they are most often cruel and unnecessary. Barking collars come with many built-in mistakes: they activate when other dogs bark and when other loud sounds happen near-by. This will make your dog terrified of loud sounds and other dogs, so you get out of one problem to encounter an even worse one! Most pet owners, with their best intentions, make many mistakes that can be easily avoided. Learn about them and what to do instead here! 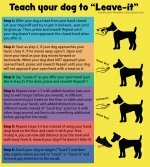 This stop dog barking program has 3 steps to follow. It is simple enough, but you will see that each step is very involved. Your first goal is to find a reason for the problem, then select the correct training program and finally apply it consistently. Step 1: Why is my dog barking? When does it happen? How long does it last? How does the bark sound? Do not disturb the subject you are observing. When you have gathered enough data, try to look for a pattern. For example: does your pet bark when left alone only? Does he bark everyday between 9-10 am? Does he bark when there is people walking outside? Maybe he only barks at cats? Does he look happy, stressed, angry? Step 2: Finding the correct barking problem and solution. Your hound will most often fall into one of the following categories. To stop dog barking, pick the section you think best describes what your dog is going through, you will find advice and step-by-step tutorials specific for each type of problem. Your dog may have more than one problem. Fearful Barking: This animals feels threatened often and needs a confident leader to feel secure. At the same time Systematic desensitization and Counter-conditioning should be implemented to teach him not to be afraid. 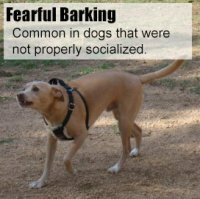 Click here to go to the Fear Barking Article. Barking to Alert! : This barking is alarming the pack of a possible intruder. It needs to be acknowledged before it can be stopped. Click to read the full article! Resource guarding: This is also a fearful hound. He feels he is about to loose something that it's his and wants to protect it. Avoid putting the dog in this kind of situations and teach him how to cope with this kind of stress with Systematic desensitization and Counter-conditioning. 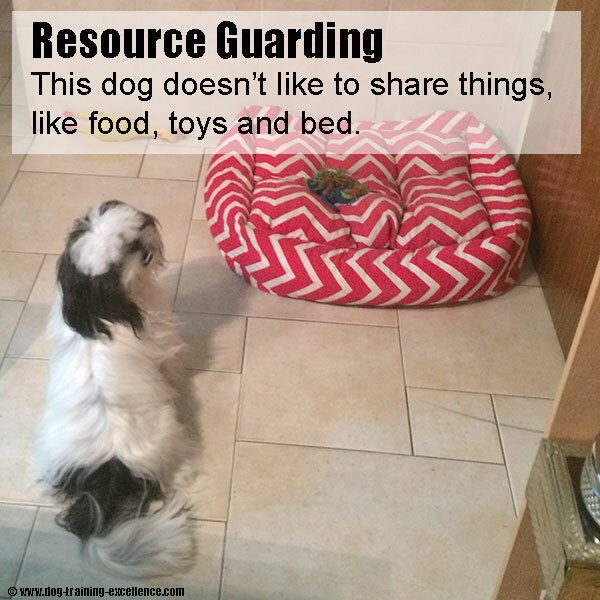 Types of resource guarding include - Dog food aggression, Territorial (or place) barking, dog aggression over toys and owner guarding (Being a "jealous" pet). 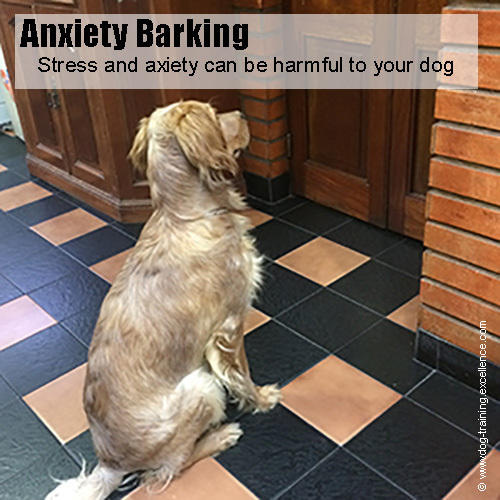 Stress and anxiety barking: Stress can be caused by many factors and might be making your pet bark more often than necessary. This article will tell you about the most common dog stressors and possible solutions. One of the most common reasons of canine stress is separation anxiety. 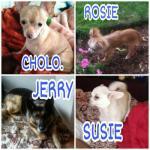 To manage this problem while being treated, a dog sitter or another animal companion might help. 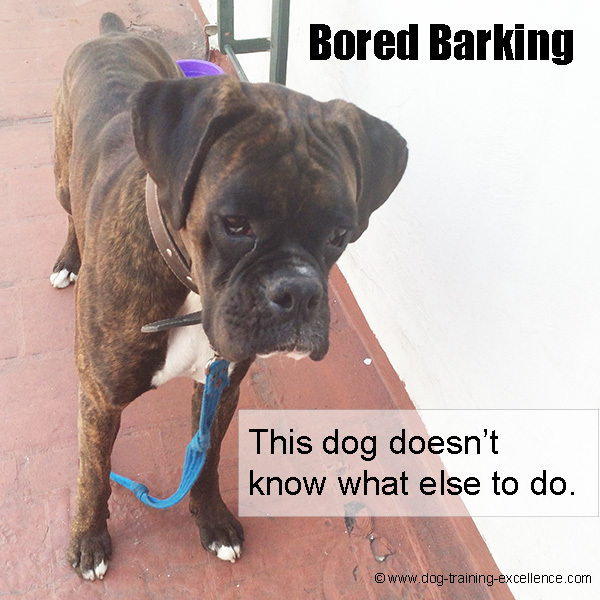 Bored Barking: This pet has no other means of passing his time. He has learned that barking can be fun and he can burn some excess energy that way. Alternative forms of entertainments need to be available and trained. Click here to go to the bored baking article. Attention Getting: This dog has been rewarded with attention every time he barks. One way to solve this problem is to make bark/quiet formal commands. Additionally, to stop dog barking, you should learn to give your hound regular amounts of attention when he is not being loud. Find a solution following this link. Lively and Excited Barking: This is a very joyful and enthusiastic dog and he barks to show the world! Examples of this kind of barking include: - Barking and Jumping when the leash is being attached, - Being very excited in the car, - Barking at other dogs, - Barking at the doorbell. A set of self-control exercises need to be practiced to teach the dog appropriate manners. Follow this link for more information on how to reduce this type of barking. 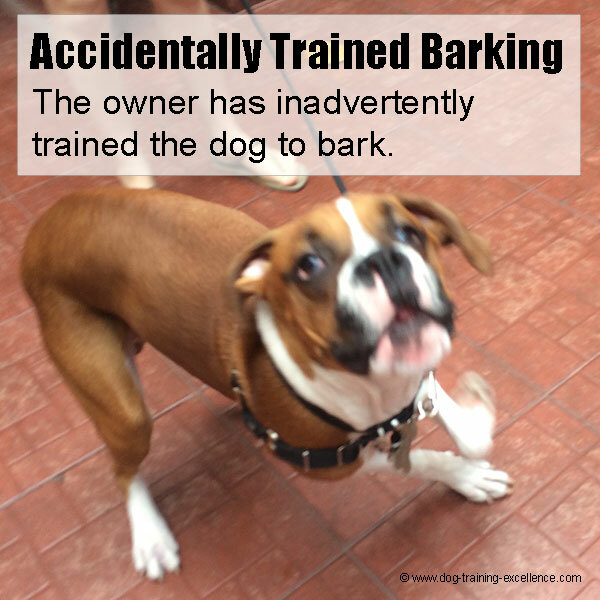 (Accidentally) Trained Barking: This could be any of the above but with the addition that the owner has inadvertently rewarded this behavior, which makes it even worse. Teach your pet the command "Quiet". Click to learn how to solve this barking case. Too much Work? Let a machine do it: PetSafe Treat and Train is a remote rewarding system that lets you train your dog at a distance, you can even program it to keep your dog busy while you are away. 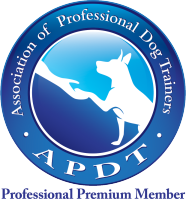 Once you figure out why your dog is barking from the list above, click on a link to find the appropriate stop dog barking training program. 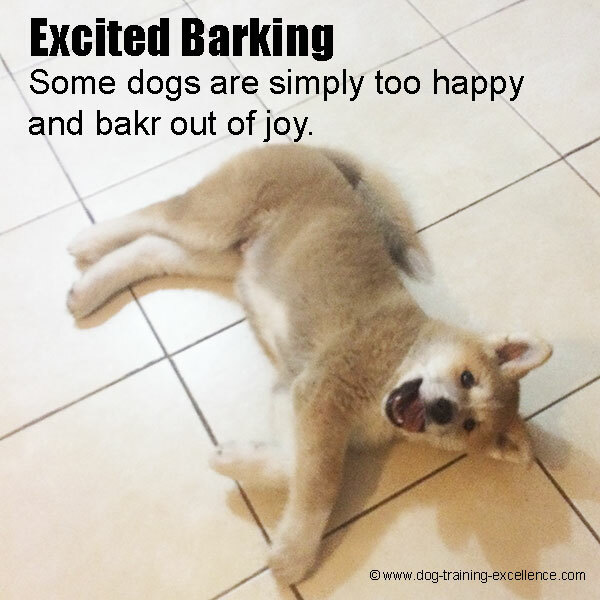 Now that you understand why your dog is barking, you won't get so upset when he does so, and you will be able to train your pooch properly. If you have any questions on how to stop dog barking, please ask! Share a detailed explanation of your particular problem and even upload pictures. This will help me greatly when trying to help you find the right solution! You can also leave us your comments and thoughts on the box below.